- Unified communications. 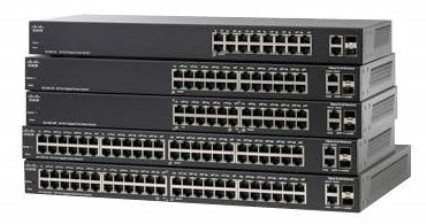 The Cisco 200 Series provides QoS features to enable you to prioritize delay-sensitive traffic in your network and let you converge all of your communications solutions – such as IP telephony and video surveillance – onto a single Ethernet network. Cisco offers a complete portfolio of IP telephony and other unified communications products designed for small businesses, and Cisco 200 Series switches have been rigorously tested to help ensure easy integration and full compatibility with these and other vendor products.